Pediatric aneurysms are rare diseases distinct from classical adult aneurysms and therefore require different treatment strategies. Apart from saccular aneurysms that are more commonly found in older children, three major pathomechanisms may be encountered: trauma, infection, and dissection. 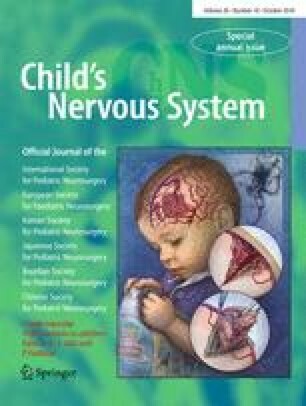 The posterior circulation and more distal locations are more commonly encountered in children compared to adults, and there is an overall male predominance. Clinical findings are not only confined to subarachnoid hemorrhage but may also comprise mass effects, headaches or neurological deficits. In traumatic aneurysms, the skull base and distal anterior communicating artery are commonly affected, and the hemorrhage occurs often delayed (2–4 weeks following the initial trauma). Infectious aneurysms are mostly bacterial in origin, and hemorrhage occurs early after a septic embolic shower. Dissecting aneurysms are the most often encountered aneurysm type in children and can lead to mass effect, hemorrhage, or ischemia depending on the fate of the intramural hematoma. Treatment strategies in pediatric aneurysms include endosaccular coil treatment only for the “classical berry-type” aneurysms; in the other instances, parent vessel occlusion, flow reversal, surgical options, or a combined treatment with bypass and parent vessel occlusion have to be contemplated.